President Obama found himself on the defensive as he was taken to task for the investigation over Hillary Clinton’s use of a private email server in his first interview on Fox News Sunday since taking office. The president went in depth in his defense of his former secretary of state, even after saying he had to be careful because of the ongoing investigations in the Department of Justice and Congress. 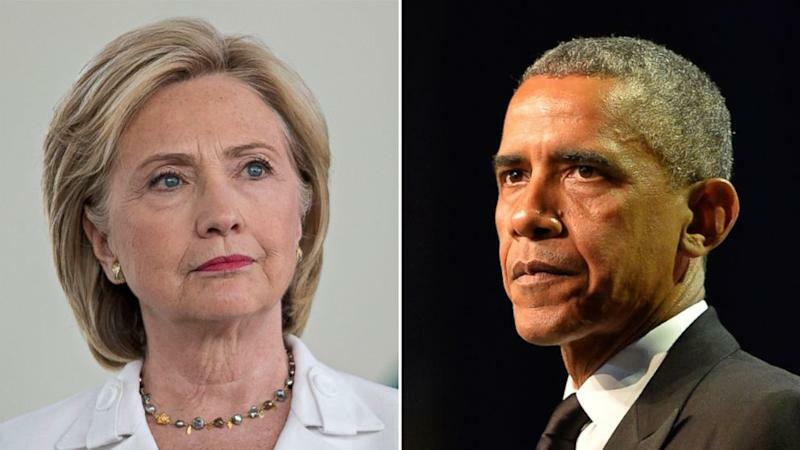 “I continue to believe that she has not jeopardized America’s national security,” Obama said. Obama was confronted about 2,000 email exchanges that had to be redacted for containing classified information when they were released by the State Department. Those emails were found to have passed through Clinton's private email server. When confronted about the investigation earlier this week, Clinton laughed off the prospect that she would be put in handcuffs when it concludes. On ABC's "This Week" Sunday, Clinton's campaign chair John Podesta said she still has not been contacted by the FBI over whether she will be interviewed about the server. "If they want to talk to her, they can talk to her," he said. "But they haven't asked for that." The FBI is expected to interview Clinton's closest aides and the presidential candidate may also be part of its investigation. It's not clear when the investigation will be completed. The FBI has not formally named Clinton as a target and she has not been accused of any crimes. Obama seemed to become frustrated as he was pressed over and over by Fox News' Chris Wallace about whether the investigation could be politicized. Obama repeatedly said he “guaranteed” that would not be the case. “How many times do I have to say it, Chris? Guaranteed,” he said.